Because of its antiquity and its large population, Memphis had several necropoleis spread along the valley, including the most famous, Saqqara. Memphis was the capital of ancient Egypt and an important center during much of Egyptian history. Its ruins are located 12 miles south of Giza. Above is the entrance to King Teti's Pyramid, which was originally 172 feet high. You can enter the pyramid and climb down a shaft into the burial chamber, which is richly carved with thousands of hieroglyphs. 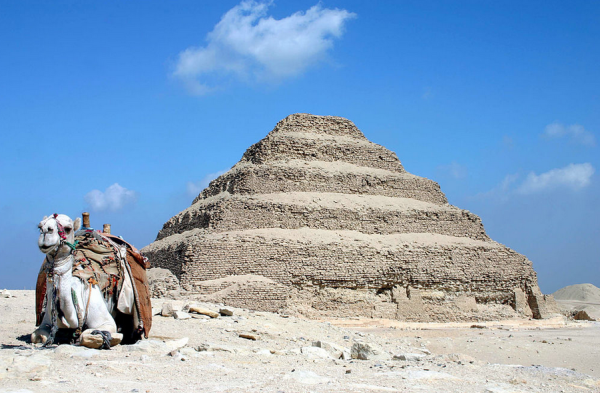 Sakkara is best known for the Step Pyramid, the oldest known of Egypt's 97 pyramids. It was built for King Djoser (2667-2648 BC) by the architect and genius Imhotep. It consists of six terraces some 200 feet high. 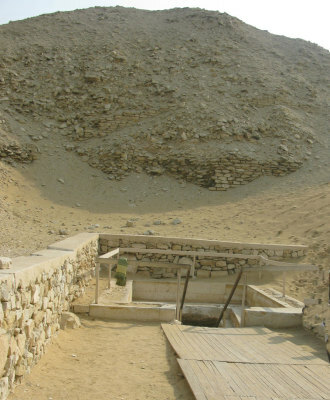 Near Teti's pyramid is the mastaba tomb of Ka-Gmni, who was a judge and a priest. The reliefs found in this tomb are rich in detail. Saqqara is one of the most extensive archaeological sites in Egypt. 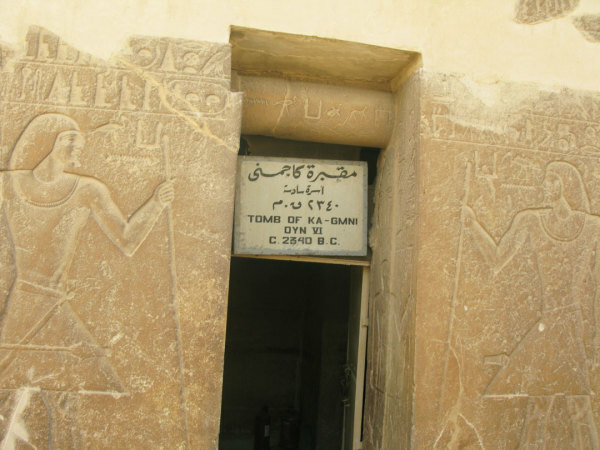 It was the cemetery for Memphis, the capital of Ancient Egypt. It is still one of the virgin archaeological sites in Egypt, despite the fact that so much has already been found here! The colossus of Ramses II is an enormous statue carved in limestone. It is about 34 feet long, even though it has no feet. The Alabaster Sphinx was carved in honor of an unknown Pharaoh most likely between 1700 and 1400 BC. 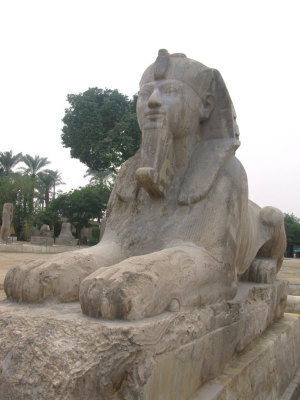 The Sphinx is 26 feet long and 13 feet tall and weighs around 90 tons. An overview of King Djoser's step pyramid at Saqqara showing diagrams, photos and a 3D reconstruction. The Step Pyramid is a keystone in the history of civilization. But it is falling apart, ravaged by the erosive force of 4,600 years of time.